Roger Federer's return, Novak Djokovic seeking immortality and a freshen up at Roland Garros. Temperatures are rising, flowers are beginning to bloom and Rafael Nadal is tightening his headband. 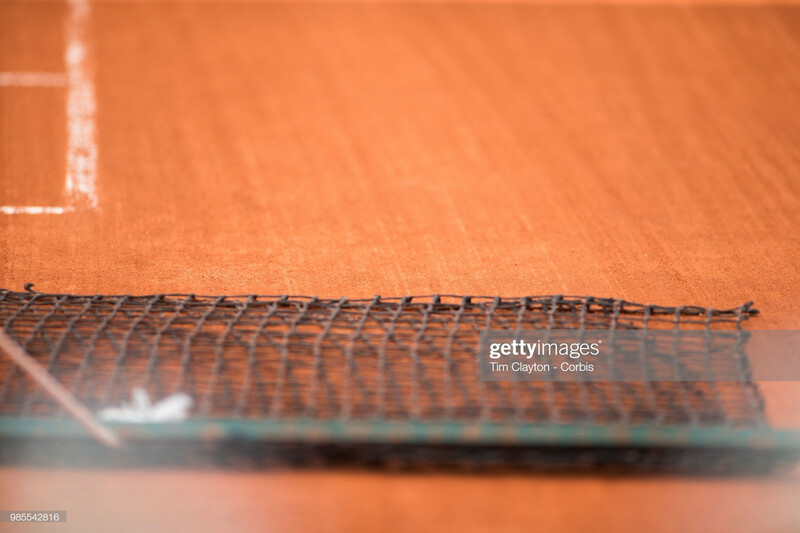 Clay season is looming is approaching and the crescendo towards the showpiece event in Paris at the end of next month, the French Open, promises to be a thrilling ride as ever. Nadal’s quest for a remarkable 12th Roland Garros crown may seem a formality – or not if you have a stake in the Novak Djokovic camp – but the inevitably only serves to heighten the curiosity of watching the chasing pack seek their own personal glory. It’s difficult to define the Serbian currently, having endured early exits (by his lofty standards) at Indian Wells and the Miami Open last month, but he still holds the last three majors and in Paris he will be seeking the collection – for the second time in three years. His dominance atop the ATP rankings is certainly not as all-encompassing as the heady days of 2015/16, and it is reflected in the fact that since he coasted to the title in Shanghai last October, Djokovic has come up short in the subsequent four Masters events (including the ATP Finals). Sandwiched between those, however, was the 15th Grand Slam success of his career at the Australian Open in January. Few players in history could replicate the level of tennis he displayed in the final against Rafael Nadal, a performance that makes his recent setbacks all the more head-scratching. However, there is the possibility that the last seven months could serve as a microcosm for the rest of Djokovic’s career. 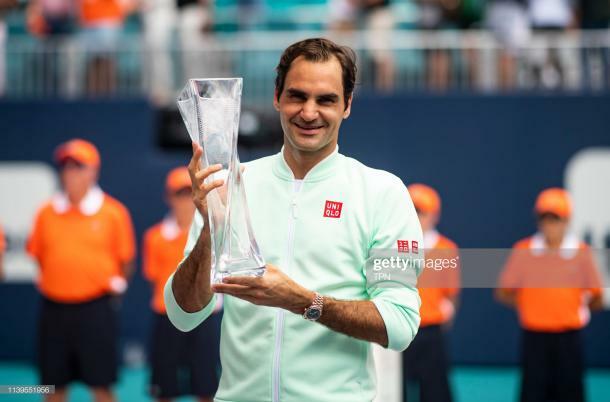 In Cincinnati last summer he achieved history by completing the set of Masters 1000 trophies – a feat no other active player can rival – and he would most certainly be forgiven if his enthusiasm for tournaments outwith the Grand Slams has dissipated as a result. Which makes him more dangerous as we hurtle towards the French Open in May. It is well-documented that he is one of only two players in history to defeat Nadal at Roland Garros and he will arrive in the French capital having trodden a similar path to what he did in 2016. Invincibility is at stake, once again, and the marketing heads of the sport will be crossing their fingers and toes that the pair meet in the final on June 9th. The year is 2016, Djokovic is at his all-conquering peak at the summit of the men’s game, the term ‘Brexit’ is an unfortunate spelling error, and Roger Federer is playing on clay. Fast forward three years, Djokovic nestles atop the ATP rankings once again, it would be a blessing for the entire British consciousness if Brexit was merely still a spelling mistake, but Federer is playing on the red dirt. A lot has transpired in the intervening three years, but Federer’s forays onto his least favoured surface on the tour have been non-existent. Which is why it was surprise to see the Swiss, four months from his 38th birthday, suddenly announce his intentions to play the clay court swing earlier this year. It has been widely presumed that Federer’s aching joints are not able to withstand the energy-sapping nature of clay court tennis nowadays and his decision to forgo the spring period of the tennis calendar has stood him in good stead for Wimbledon – champion in 2017 before a slightly peculiar quarter-final exit last year. Federer, as we have been frequently reminded, is not getting any younger and many viewed his commitment to the clay swing this year as a symbolic farewell ahead of a potentially swansong 2019 season. The Swiss is keen to play at the 2020 Olympic Games in Tokyo to capture that elusive singles gold medal and a flirtation with the clay swing could be seen as an intrusion on his preparation for The Summer Olympics. The landscape of clay court tennis has scarcely changed since Federer’s last involvement in 2016 – Nadal still rules the roost – but perhaps he has taken the decision because he feels his body can handle the extra workload this year. The world number three played 11 matches during the Sunshine Swing, reaching the final in Indian Wells and winning the title in Miami, and it will encourage Federer that he was able to prevail on markedly slow hard courts. The Swiss loves a challenge, and it was evident in his interview with the American broadcaster last month that he is extremely grateful his body has held up this long. His desire to add even more silverware to his glistening collection still burns brightly, however, and it will be curious to see whether the end of three-year boycott comes at the expense of another Wimbledon crown in July. Alexander Zverev endured a dismal Sunshine Swing, winning the solitary match at Indian Wells (via a Martin Klizan retirement) and surrendering a set lead to David Ferrer in the second round of the Miami Open. But he is entering a period of the season where he usually brings out his best. The trouble for the German is that his current predicament starkly mirrors that of exactly twelve months ago, with his season a collection of fits-and-starts and various questions surrounding his ability to consistently produce his best tennis. Back then, Zverev enjoyed an excellent clay court swing: triumphing at the Madrid Open without dropping serve, reaching the final of the Italian Open where he led Nadal by a break in the deciding set before Mother Nature intervened, before progressing to his first Grand Slam quarter-final at the French Open. However, his exertions took a tremendous physical toll. It was something of a paradox that Zverev bowed out of his last eight meeting with eventual finalist Dominic Thiem at Roland Garros citing injury: the very match which the German’s career had crescendoed towards, he was struck down after overexerting at what are, on paper, lesser tournaments. Only Nadal is approaching the clay court swing with a greater points haul to defend than Zverev and the German’s two-year stint inside the world’s top five could be brought to a shuddering end if his results in the U.S. prove to be early symptoms of a wider malaise. Zverev feels at home on the surface, and the extent of his success on clay at the tender age of 21 is demonstrated by the fact he requires only a title in Monte-Carlo to complete the set of clay Masters 1000 titles. However, the key in his preparation for this year’s journey will be to build towards a tilt at the French Open in June, rather than arriving in Paris with the physio on speed dial. The second Grand Slam of the year has gained an unwanted reputation as the passive major, a tournament that exists rather than flourishes. But there has been a concerted effort in recent years to alter that perception. The reconstruction of Court Philippe-Chatrier, the tournament’s main court, began after the conclusion of last year’s tournament and the aim is to have a fully retractable roof installed by 2020. That would bring the French Open in line with the other three Grand Slam tournaments, each of which boast retractable roofs on their main courts. 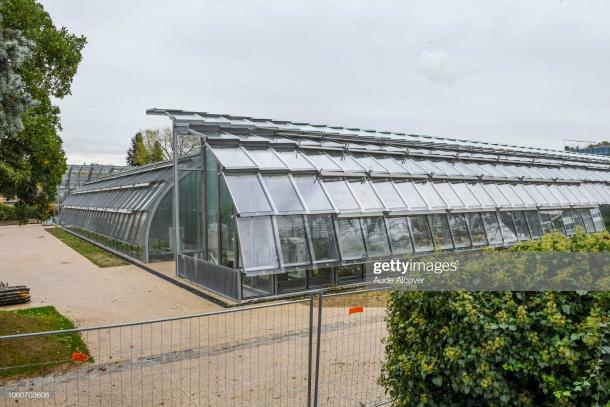 Equally as interesting, however, is the construction of Court Simonne-Mathieu, situated in the Serres d’Auteuil botanical garden area of the tournament site. The French Tennis Federation (FFT) had faced fierce opposition from environmentalists concerned about the detrimental affect the stadium would have on the greenhouse area, but they allayed those fears by locating the stadium inside four greenhouses which will offer fans a unique experience upon arrival. Bernard Giudicelli, president of the FFT, described it as “the most beautiful tennis stadium in the world” and its intimate feel adds yet another layer to a developing tournament site. To stand still is to go backwards, the famous maxim goes, and the French Open is desperate not to be left behind. The news that all ATP tournaments from next year will feature a shot clock poses an interesting question as we enter the clay season. The doubts surrounding its introduction as a permanent fixture on the ATP tour have centred on the question of discretion, with umpires now seemingly at the mercy of an arbitrary time limit as they police matches. The only control they do have over proceedings – in regards to time – is when they opt to start the countdown and whether, more pertinently to the surface, exceptions can be made in extreme circumstances. Clay court tennis is conducive to longer, more exacting rallies and, therefore, players will naturally require more time between points to recuperate. As such, if the letter of the law is universally enforced across the tour, we may witness a gradual erosion of high-grade clay court tennis. In addition, the Hawkeye system is absent from clay tournaments and any contentious line call requires visual inspection from the umpire. In that case, it seems a wise move for players to buy a few extra seconds by prompting the umpire from his chair. However, that would inevitably lead to an abuse of the system and it would invariably raise the question as to why there is a set time limit if it can be easily manoeuvred around. The French Open has remained noticeably mute on the topic of a shot clock, and it’s small wonder considering there are several issues still to be ironed out.